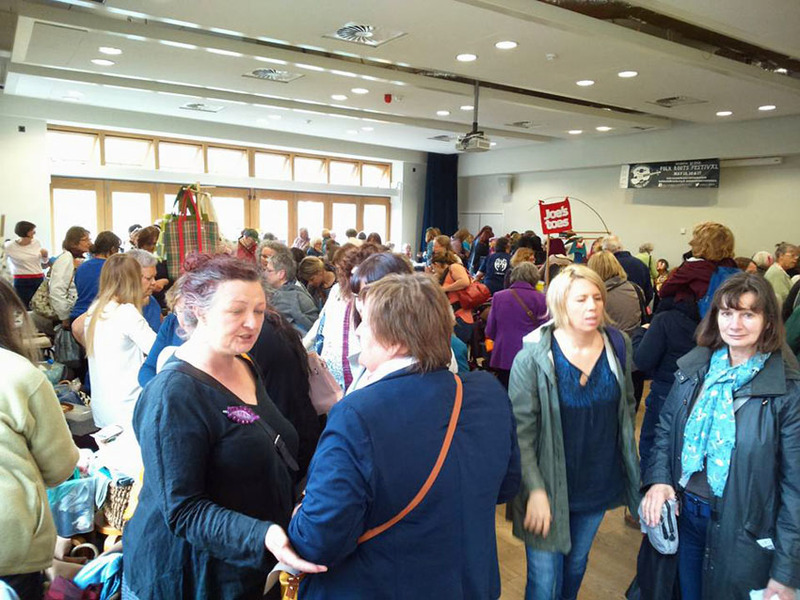 Our Spring Rag Market was held on Saturday 16th May and it was our busiest yet. 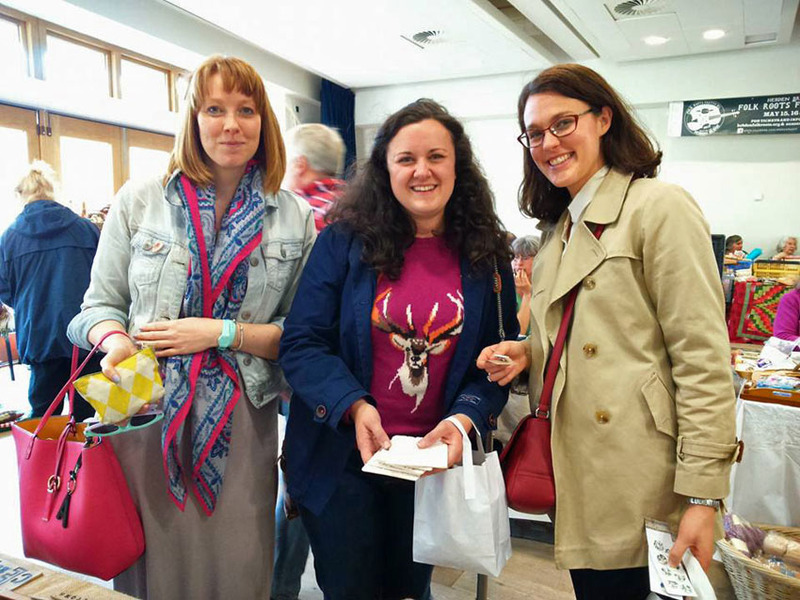 It was absolutely thronging with crafting fans keen to snag a bargain and meet our special guest, Deborah Simms who reached the semi-final of this year’s Great British Sewing Bee. 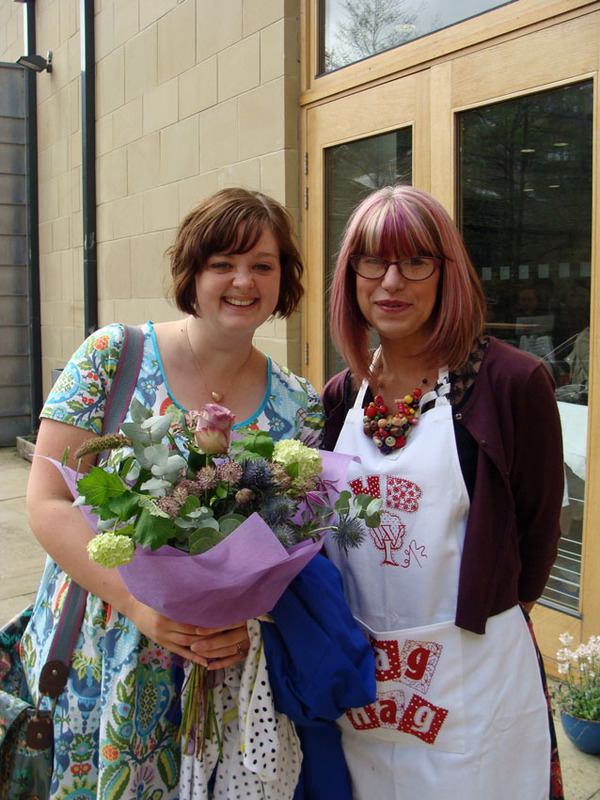 Deborah kindly came along to open the Rag Market and she was an absolute delight. We had visitors from all over, including lots of WI members, including some from as far away as Suffolk! Here’s Helen in her famous green hand-knitted cardigan welcoming some lovely members from Felixstowe WI. And this lovely trio from Cottonopolis WI in neighbouring Manchester spent most of the day with us. 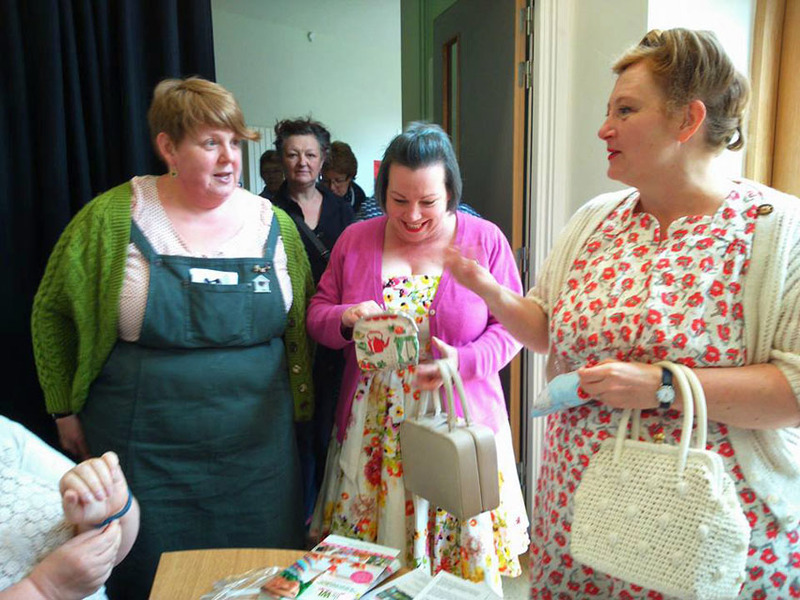 If you’re a WI planning a trip to our next Rag Market, do let us know and we’ll give you an extra warm welcome. We love meeting fellow WI members. 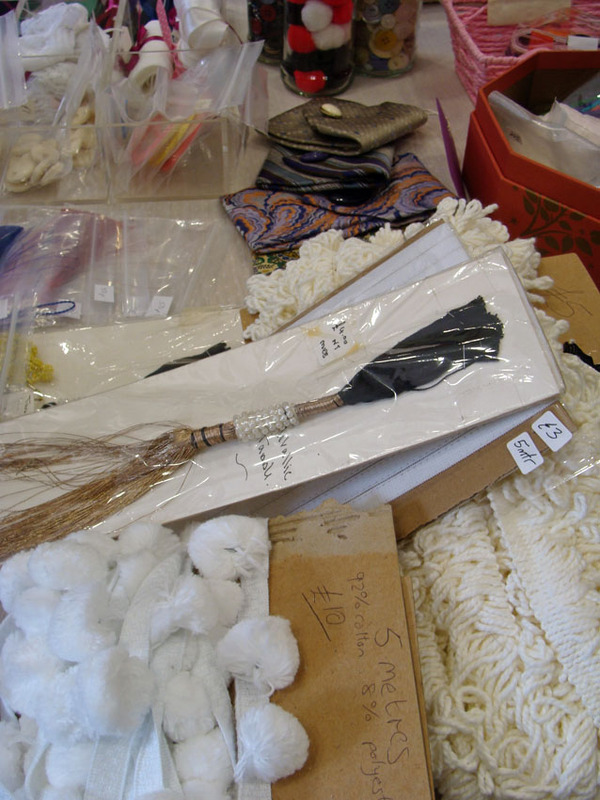 A busy hall filled to the brim with crafting goodies and eager textile fans. 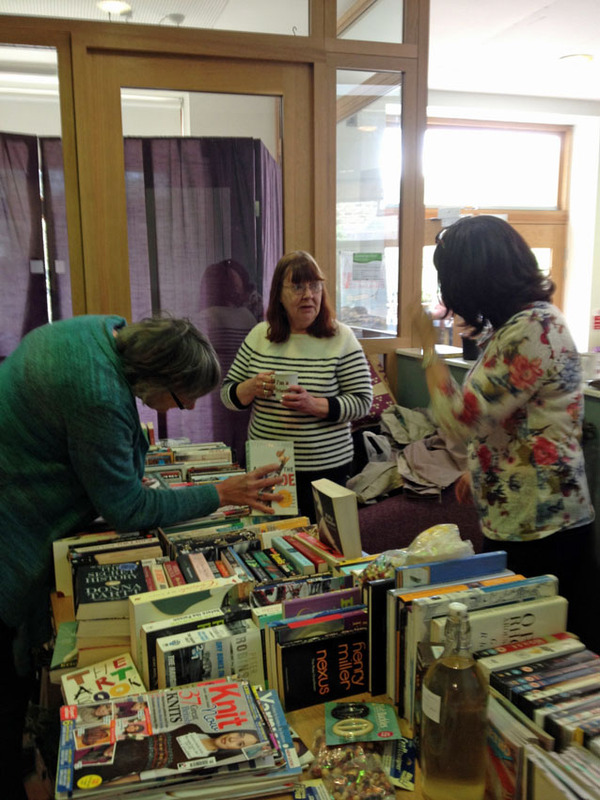 …and our own book and WI produce stall proved very popular. We also held a raffle for the first time. 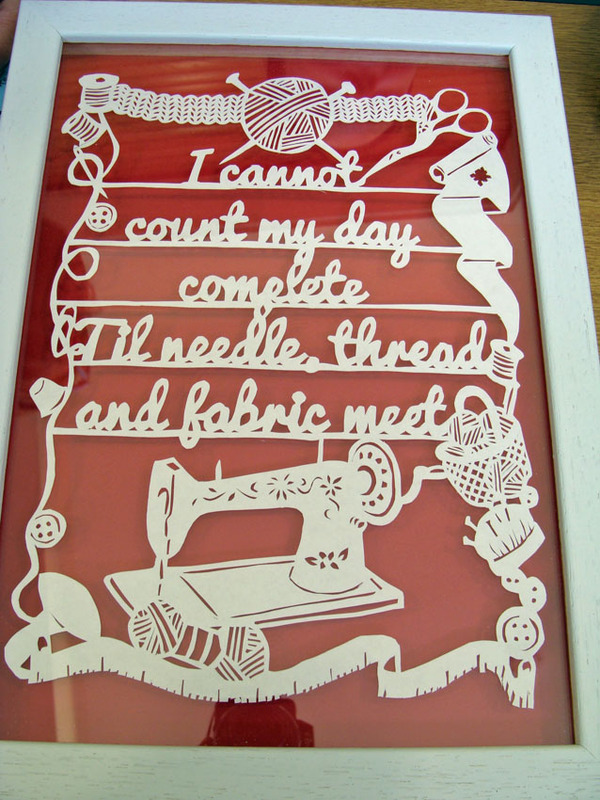 Our talented member, Sue Leslie hand cut and framed this beautiful papercut design by Falling Star Cuts. Tickets were £1 and we made £120 on the raffle alone. Wow, thanks Sue! Can you believe this was cut from one sheet of paper! 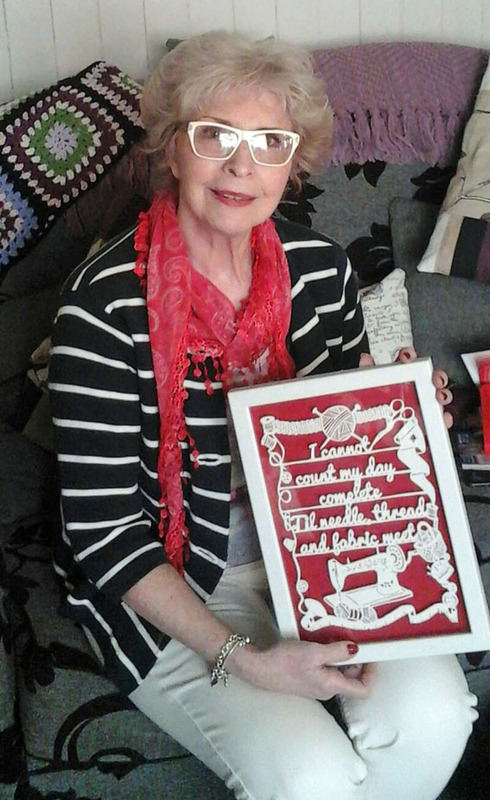 The papercut was won by Suzanne from Sue And Sew, who amused us all by insisting she was going to win it when she bought her ticket – and then she did! She was utterly delighted. In total, we raised around £900, which we were thrilled about. People often ask where the money raised by the Rag Market goes. Firstly, we raise money to fund our own WI. Our annual WI subscription fees (£36 this year) only cover the monthly hire charge for our venue, our mandatory contribution to the WI National Federation & some of our other costs – so if we want to provide an exciting and diverse programme during the year, we have to fundraise. Secondly, it allows us to offer an annual £500 educational bursary that any Hebden Bridge WI member can apply for. Developing skills and trying new things is a fundamental part of the WI ethos and we’re proud to encourage that with our bursary. Thirdly, we donate a portion to our Charity Of The Year. Last year’s charity was SmartMove who work with homeless people in our area and our rag markets enabled us to increase our donation to them to £1000. This year’s charity is WomenCentre in Halifax, who do amazing work supporting Calderdale women who are experiencing difficult issues such as homelessness, addiction or domestic violence. They are a cause very close to our hearts. 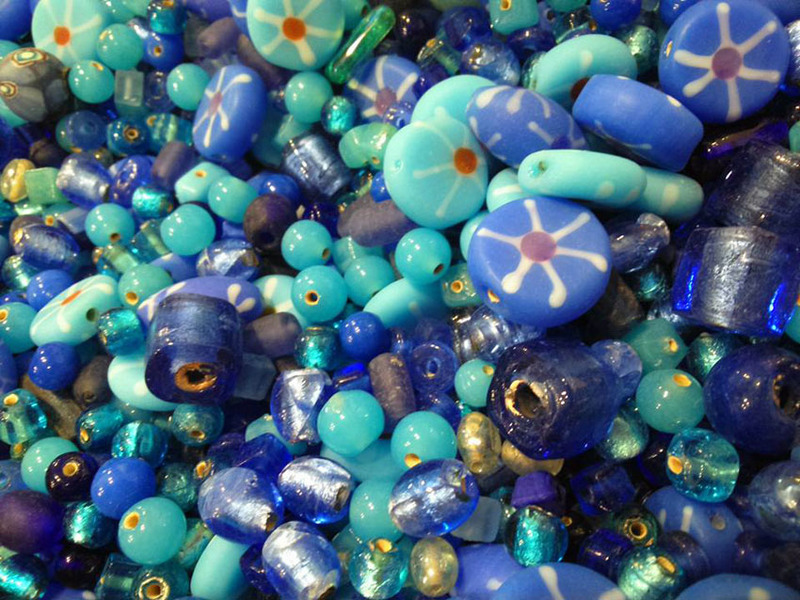 Our Rag Markets are getting increasingly popular – the stalls for the autumn one are already completely booked up. If you’re a crafting fan, particularly of textiles, our next Rag Market is on Saturday 24th October and is well worth a visit. 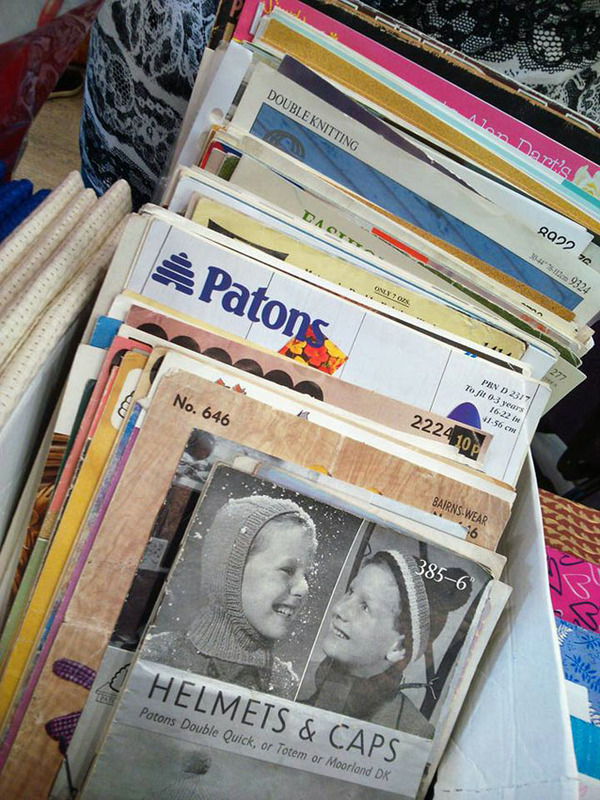 If you’d like to keep up to date with Rag Market news, please like our Hebden Bridge Rag Market Facebook page.